We all have a role to play in protecting the environment. The good news- especially if you are on a tight budget- is that many of the steps that you take towards being environmentally friendly are cost savings measures as well. Earth Day is approaching and you get to make a difference for the planet and stay on track with your household budget at the same time. It’s a win-win. 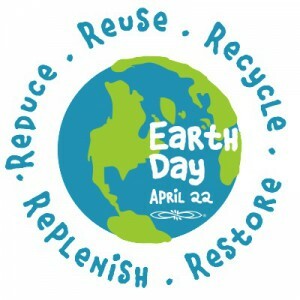 Earth Day is celebrated every year on April 22. If you’re not in the habit already of being environmentally friendly, use this day to kick-start your personal green campaign. In communities across the country there are celebrations and events that help to educate around eco-friendly measures you can take from recycling to growing your own produce to energy efficiency in your home. “As a general rule, wherever you can save energy or water, you’ll be helping the planet and saving money off your energy and water bills, says Jeff Schwartz executive director, Consolidated Credit Counseling Services of Canada. You may not give much thought to how much water you are really using when you turn that tap on, but most households in Canada waste a great deal of water. For instance, do you leave the tap running when you brush your teeth, wash your hands or shave? Simply turning the tap off during those activities will save litres of water. Other ways to help save money and water? Put in efficient plumbing fixtures. Low-flow shower heads regulate water flow rate, which means that you use less water to shower (and heat less water too) without sacrificing water pressure. Low-flow toilets use significantly less water than regular toilets. “Buying items used is a great way to save money, but adopting that mindset can help the environment as well,” says Schwartz. Before you buy anything at all, consider if you could buy the item used, or if you could repair or re-purpose an item in its place. Rethinking your attitude towards consumerism and collecting “stuff” can help you save money and give the earth a hand too. Little energy saving steps add up to big savings and to moving your carbon footprint towards neutrality. Do you have a smartphone? Unplug it and the charger once it is charged. Turn electronics off when not in use. Get in the habit of turning lights off when you leave the room and replace existing light bulbs with LED lighting. Put dimmer switches or timers on lights as well. Use your microwave or slow cooker to cook meals a few times a week instead of turning on the oven. Use the cold water cycle to do the laundry and then hang dry instead of putting in the dryer. Plant trees outside your windows. The shade will keep your home cooler naturally in the summer. Being environmentally friendly is one creative approach to help you have room in your budget to pay down your debt. We can help you develop a strategy that works. Call one of our trained credit counsellors at 1-888-294-3130 or check out our free online debt analysis.